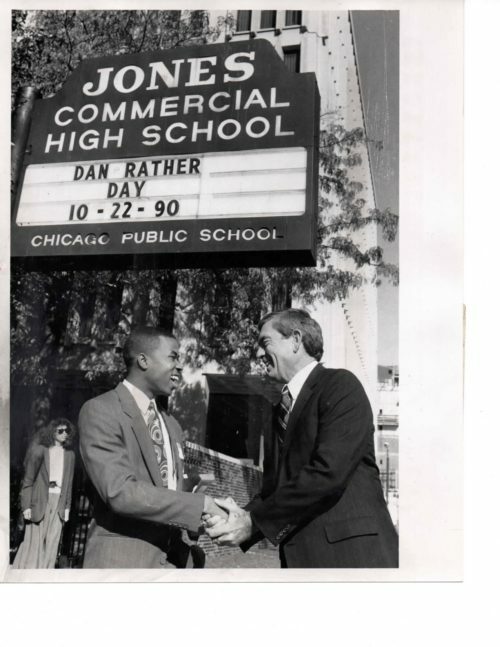 Whether you are a Jones College Prep "Eagle" or a Jones Commercial/Jones Metropolitan "Jonesite," you are a vital part of the legacy that brings Jones to its proud history celebrating more than just years. Certainly much has changed at State and Harrison since it's beginning, but the Jones spirit and dedication to excellence remains the same. 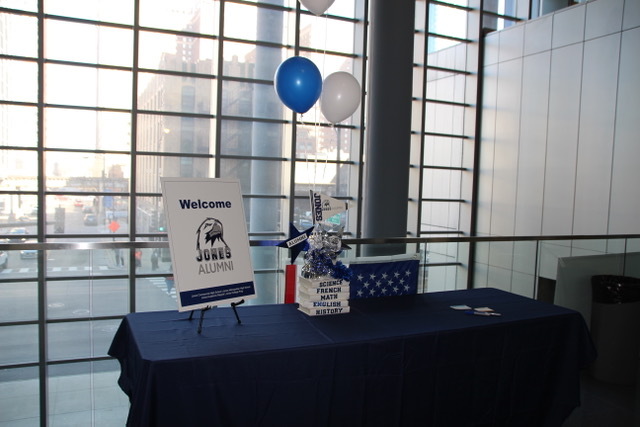 The Jones Alumni Network is dedicated to more fully engaging and connecting with Jones' alumni and their families. 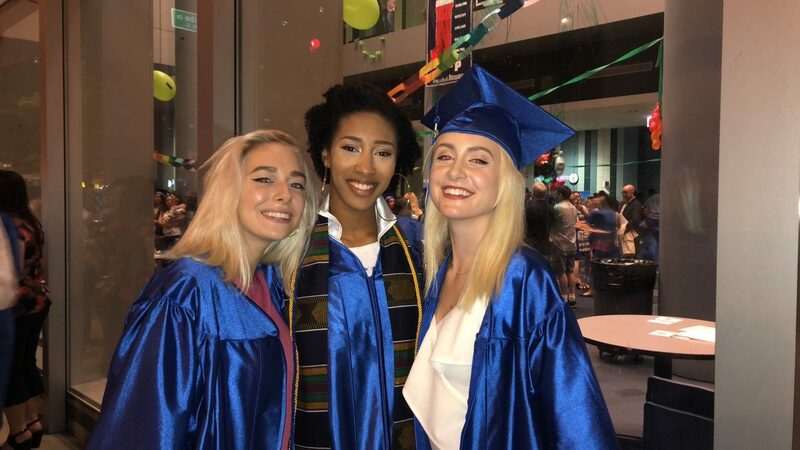 Our current efforts include a quarterly newsletter that's full of class notes and alumni updates, as well as various ways for you to stay connected to this special community. OUR SECOND ANNUAL ALUMNI NIGHT AT THE THEATRE WAS HELD ON MARCH 23, 2019. ATTENDEES ENJOYED A RECEPTION HELD ON THE 2ND FLOOR BALCONY, FOLLOWED BY COMPLIMENTARY TICKETS TO SEE JCP'S PERFORMANCE OF SPAMALOT! A GREAT TIME WAS HAD BY ALL! PICTURED TO THE RIGHT: A GRADUATE OF THE CLASS OF 1940, MR. HAROLD KULAT LATER WENT ON TO BECOME A TEACHER AT JONES FOR OVER 30 YEARS. BELOW LEFT: RECEPTION DECOR BY FOJ'S JULIE KUJRAL, JENNI PENCYLA, AND KK CLELAND. BELOW CENTER: ASST. 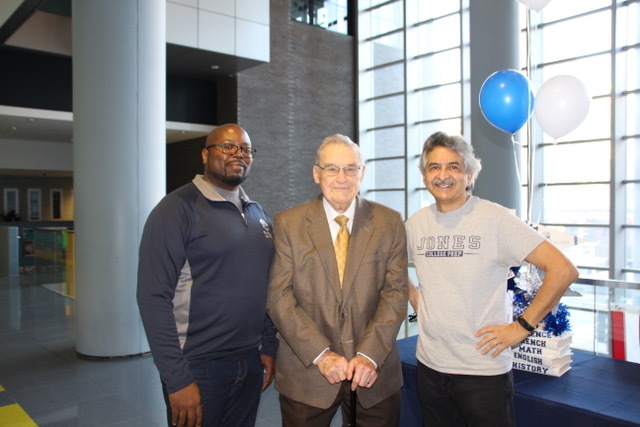 PRINCIPAL MR. ERIC MITCHELL, MR. KULAT, AND MR. MANNY ONATE. MANNY IS A JONES' ALUM AND PARENT OF A CURRENT JCP JUNIOR! BELOW RIGHT: TWO RECENT GRADUATES ENJOYING THEIR TIME BACK. Chicago Public Schools does not maintain an active database on CPS alumni. 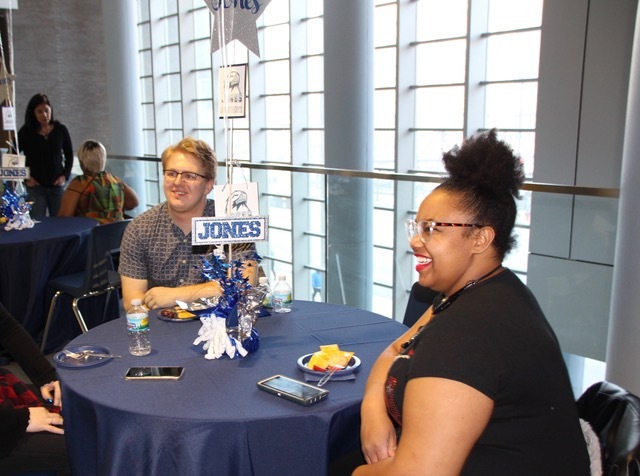 Former students and their families can register for the Jones Alumni Network, hosted by Friends of Jones, to ensure we have your most recent contact information. 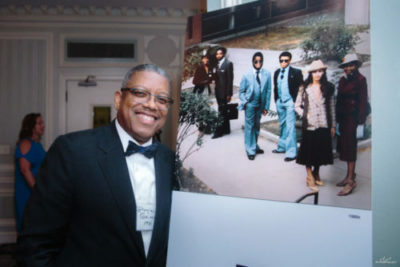 To register as an alum or parent/guardian of an alum, please click here.  Once you have an account set up, you will be able to log in directly from the FOJ website simply by clicking on FOJ Login at the top of the page. We hope you’ll also follow us on our Jones Alumni Facebook page where we post more frequent information and school updates www.facebook.com/JonesAlumni. 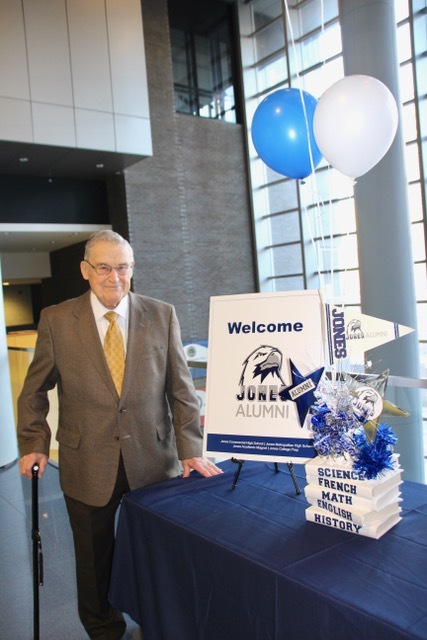 We know our Jones alumni and alumni families have a great deal to be proud of, so we hope you’ll share your news and reconnect with Jones. And if you can, please help us spread the word! If you know Jones alumni or former Jones parents, please share this information with them so that we can keep in contact with as many Jones alumni as possible. Welcome back to Jones! Go Eagles!